E un colier care ma face sa ma gandesc la zane, la o lume magica, la praful vrajit de stele. 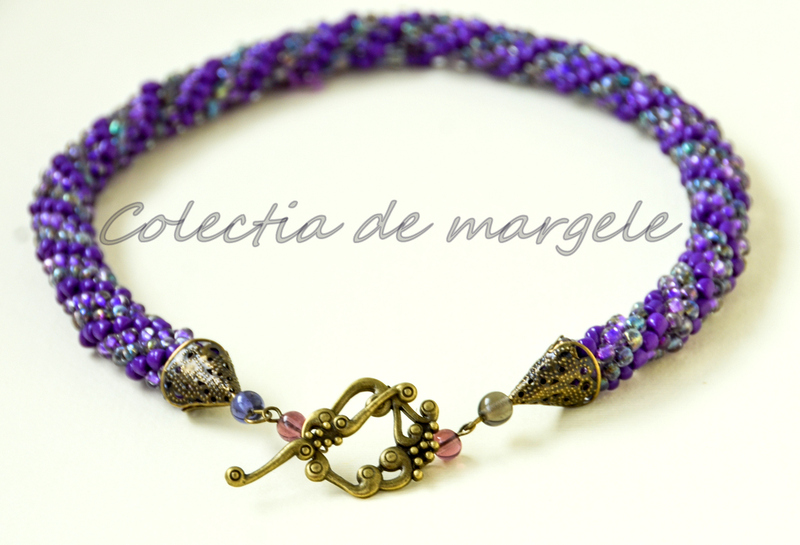 This necklace makes me think of fairies, of a land of magic and enchanted stardust. Iar clama de prindere imi aminteste de o harpa vrajita, pe care o aud doar urechile celor ce mai cred in minuni. And the clasp remind me of a magic harp that plays music only for the ones that still believe in wonders.